This rabbit was purchased as a race car ready to race. When the owner Brian got the car home he discovered that the car was not as ready as he thought. The roll cage was not anywhere near useable. So, out with the old and in with the new. The rabbit was completely stripped down to the bare tub. Patch panels were made and welded in. 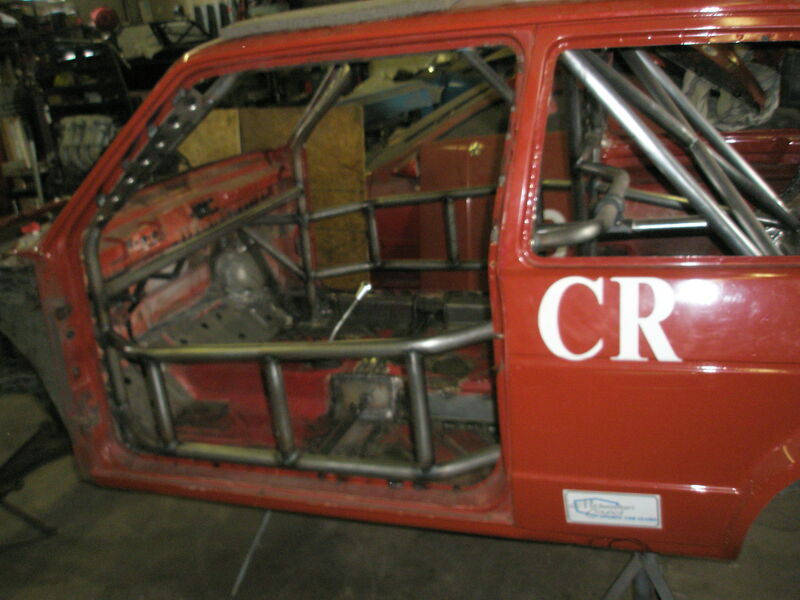 The roll cage was designed, fabbed and welded in. Than the steering was set up along with the brake, clutch and throttle pedals. Next the seat brackets were built and installed. The Rabbit will receive a twin cam VW engine with throttle bodies from a GSX-R 1000 motorcycle. A stand-alone ECM will be installed to control all of the engine functions. Suspension will be controlled by coilovers at all four corners. Wilwood will supply the brakes and master cylinders. They will consist of four piston front and two piston rear calipers with Wilwoods triple master cylinder set up. This VW Rabbit will be a very nice car that has been built from the ground up to compete in the NASA GT2 circuit.